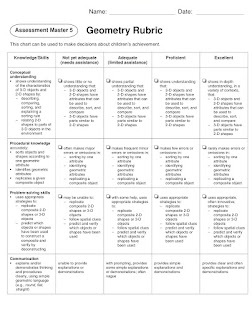 I use the Geometry Rubric for grade 1 from Math Makes Sense (this is a photo only - you will need the resource for the PDF). 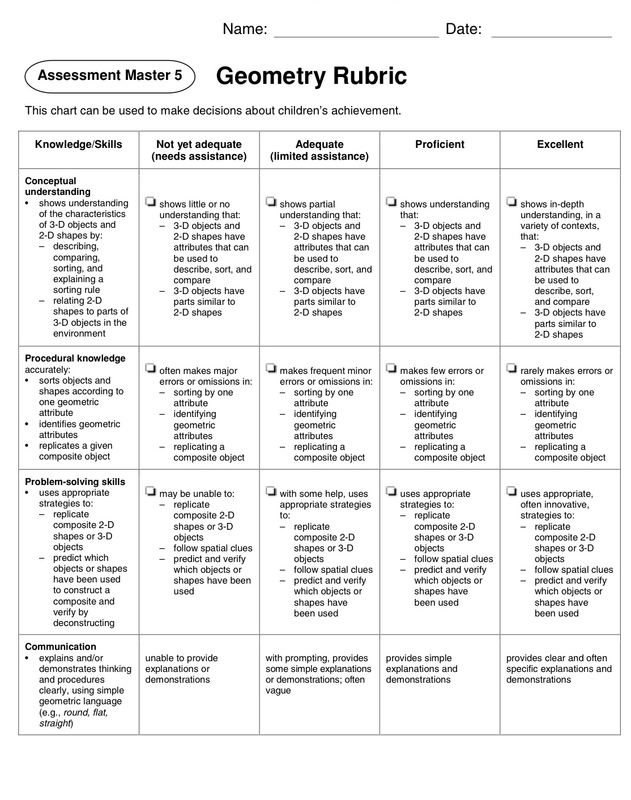 I print off one for each student and keep notes right on the rubric (print to 8.5x14 for more room). This is a great way to communicate to both parents and students which skills they have mastered and which they are still learning. I send these home for parents to sign during the unit and at the end of the unit. They are returned and kept in the students' data notebook to facilitate report card writing. Here is the 3D visual dictionary of vocabulary students used for this unit. These are the 3D word strips that are in the file above. 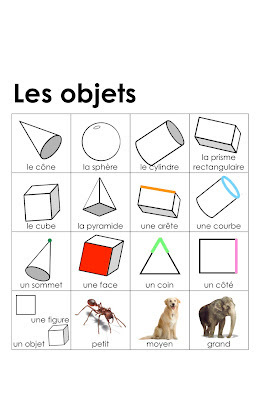 It includes all of the 3D shapes, this is just a thumbnail. 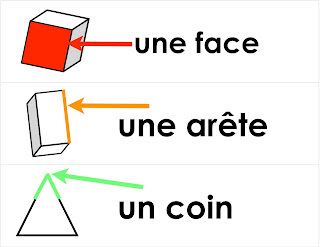 I like to have students describe the difference between "un coin" et "un sommet" for example. These kinds of discussions get at a deeper understanding of the properties of shapes. 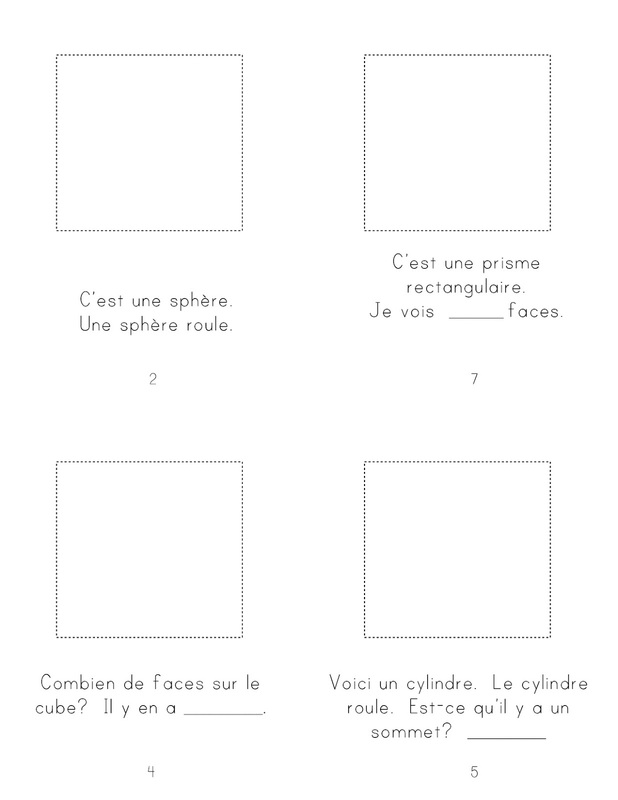 How many faces does a cone have? Are faces always flat, or can they be curved? Are edges always straight? Here is the 2D visual dictionary and word strips that I print back to back with the 3D visual dictionary above. 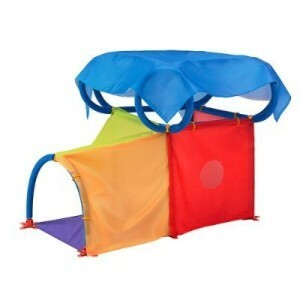 I made this when I was teaching kindergarten and really should have added the other polygones. They are in the word strip document. Add that to the list . . .
2D word strips are in the file above. 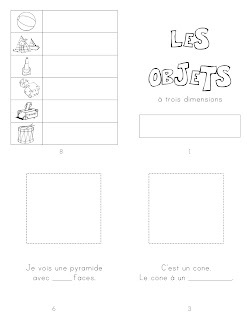 Great for pocket charts, sorting, independent writing, making sentences and for Daily Five word work. 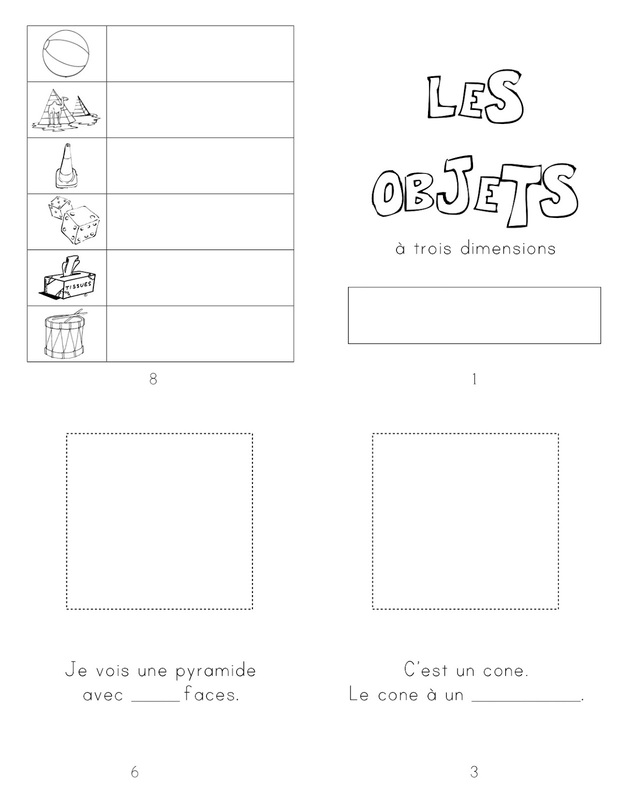 These are pages to a take-home book we made. 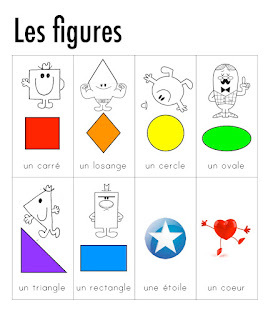 Students can write their own clues for each shape, use the ones provided or print them off as fill in the blank. Students sorted small toys describing whether they could roll or stack. We are built and described 3D structures (big lego, lots of plastic cups, super fort, wooden blocks, toothpick and marshmallows). 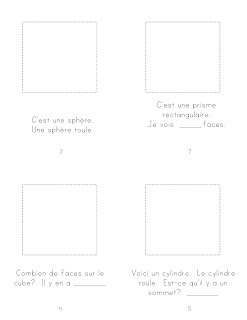 Students discussed, how many edges does your structure have, how many vertices, how many faces? Using your building materials can you build a cube? 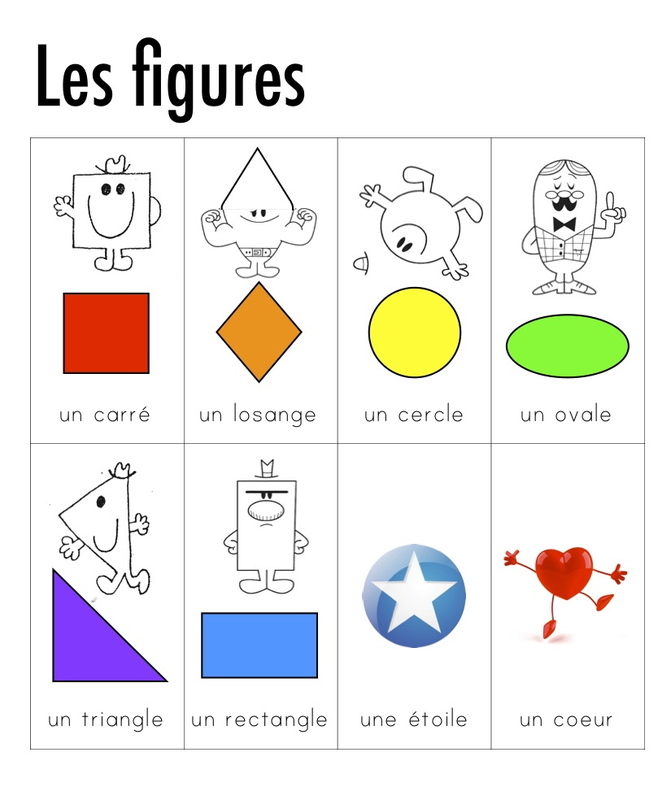 Easy to understand French preschool video about "les formes" to watch during snack. Un gros merci de moi et ma classe de 1e année. We loved your 3D shapes livret. Thanks! Tu as un site web fantastique. Je l'adore. 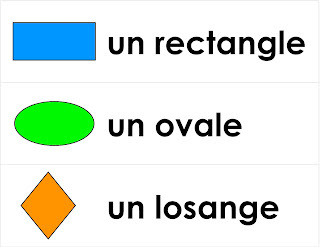 Je remarque qu'une petite différence de vocabulaire existe dans la dénomination de ce qu'on appelle en France un angle et chez vous, un coin. Pour nous, Français, un coin c'est un espace restreint entre deux murs par exemple ou deux rues ou deux meubles. 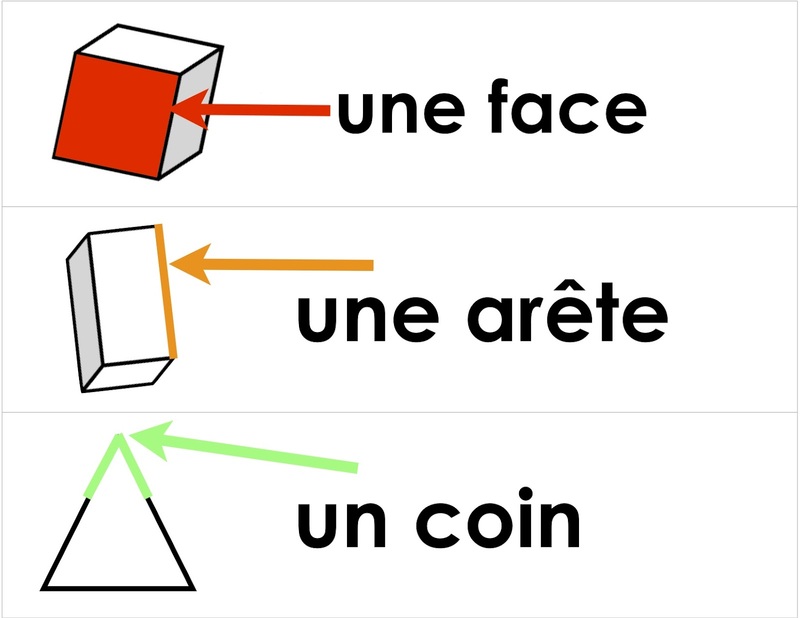 Un angle, c'est l'écart entre deux segments de droites. 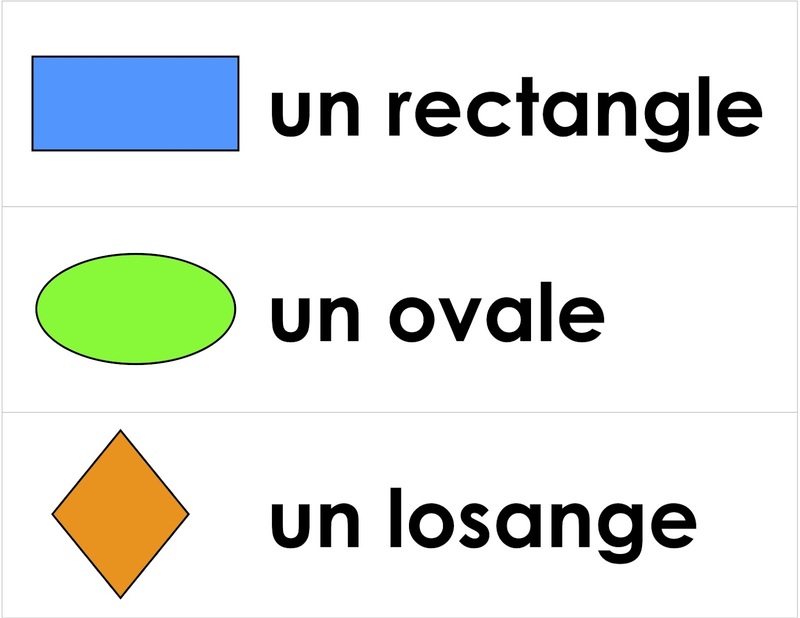 C'est intéressant comme la langue se développe et se modifie.